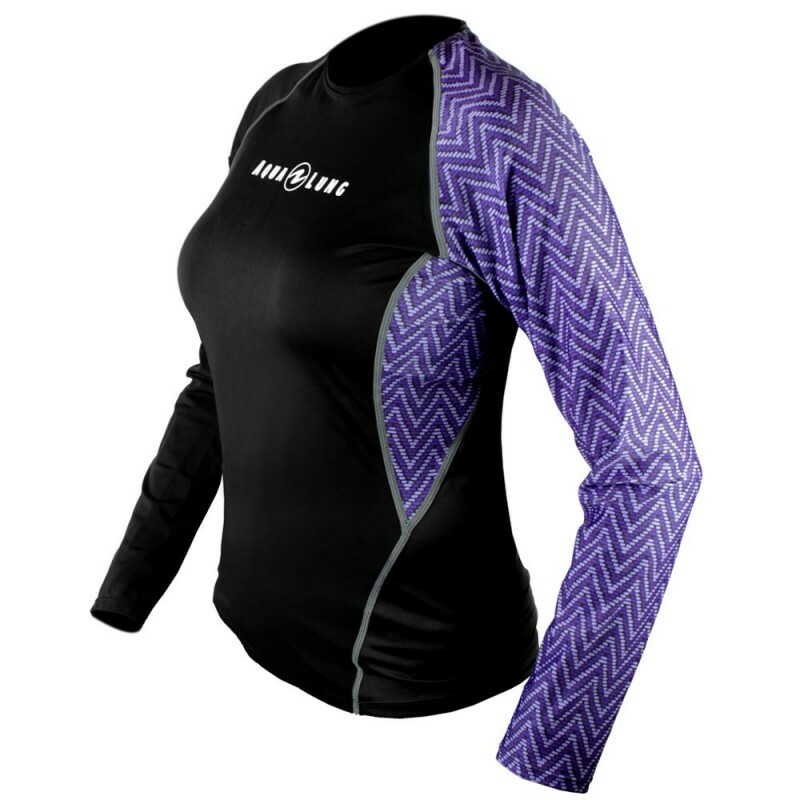 • The rashguards are SPF 50 and have been tested under Australian / New Zealand Standard AZ/NZ 4399, which are the highest and most respected standards in the industry. 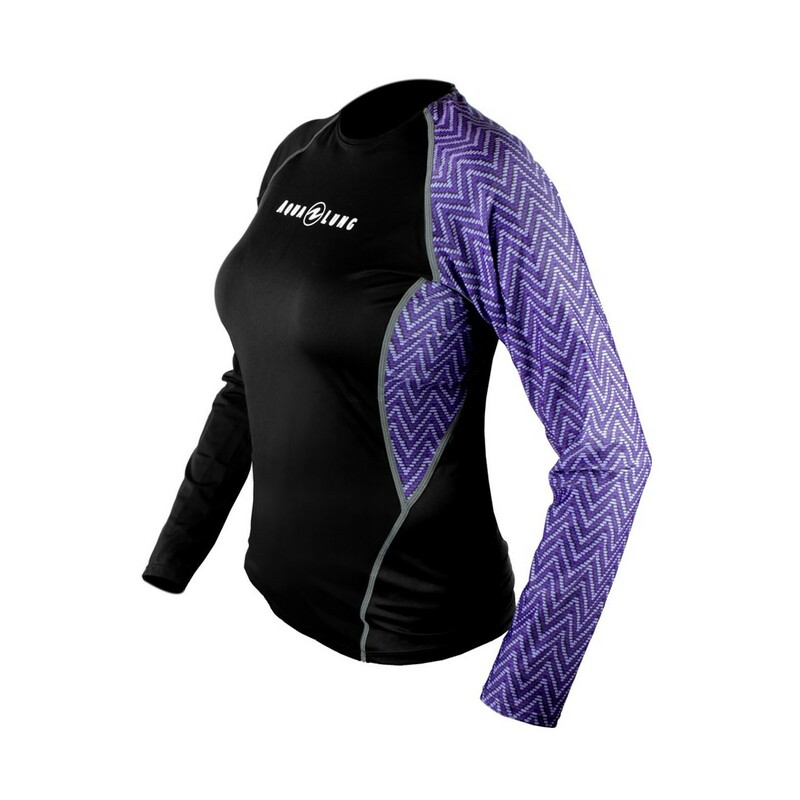 • The Aqua Lung rashguard material is made from 80% nylon / 20% spandex. • The patterns and colors match the Aqua Lung Hydroflex wetsuits. • Choice of either long or short sleeve options for Men’s & Women’s styles.